On November eleventh, nineteen eighteen, a truce was signed ending the hostilities of World War One. The Central Powers -- led by Germany -- had lost. The Allies -- led by Britain, France and the United States -- had won. The war lasted four years. It took the lives of ten million people. It left much of Europe in ruins. It was described as "the war to end all wars." 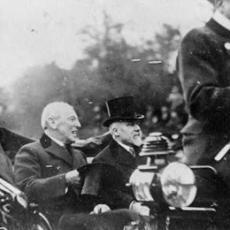 This week in our series, Barbara Klein and Doug Johnson tell about President Woodrow Wilson and his part in events after the war. BARBARA KLEIN: The immediate task was to seek agreement on terms of a peace treaty. The Allies were filled with bitter anger. They demanded a treaty that would punish Germany severely. They wanted to make Germany weak by destroying its military and industry. And they wanted to ruin Germany's economy by making it pay all war damages. Germany, they said, must never go to war again. President Woodrow Wilson of the United States did not agree completely with the other Allies. He wanted a peace treaty based on justice, not bitterness. He believed that would produce a lasting peace. President Wilson had led negotiations for a truce to end the hostilities of World War One. Now, he hoped to play a major part in negotiations for a peace treaty. To be effective, he needed the full support of the American people. DOUG JOHNSON: Americans had supported Wilson's policies through most of the war. They had accepted what was necessary to win. This meant higher taxes and shortages of goods. At the time, Americans seemed to forget party politics. Democrats and Republicans worked together. "The return of a Republican majority to either house of Congress would be seen by foreign leaders as a rejection of my leadership." BARBARA KLEIN: Republicans protested. They charged that Wilson's appeal to voters was an insult to every Republican. One party leader said: "This is not the president's private war." The Republican campaign succeeded. 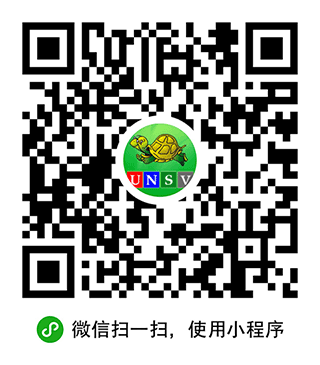 The party won control of both the Senate and House of Representatives. The congressional elections were a defeat for President Wilson. But he did not let the situation interfere with his plans for a peace conference. He and the other Allied leaders agreed to meet in Paris in January, nineteen nineteen. BARBARA KLEIN: In the weeks before the conference, Wilson chose members of his negotiating team. Everyone expected him to include one or more senators. After all, the Senate would vote to approve or reject the final peace treaty. Wilson refused. Instead, he chose several close advisers to go with him to Paris. Today, American history experts say Wilson's decision was a mistake. Failure to put senators on the negotiating team, they say, cost him valuable support later on. In early December, President Wilson sailed to France. The voyage across the Atlantic Ocean lasted nine days. He arrived at the Port of Brest on December thirteenth. Wilson felt very happy. Thirteen, he said, was his lucky number. DOUG JOHNSON: French citizens stood along the railroad that carried him from Brest to Paris. They cheered as his train passed. In Paris, cannons were fired to announce his arrival. And a huge crowd welcomed him there. The people shouted his name over and over again -- Wilson! Wilson! Wilson! The noise sounded like thunder. French Premier Georges Clemenceau commented on the event. He said: "I do not think there has been anything like it in the history of the world." People cheered President Wilson partly to thank America for sending its troops to help fight against Germany. But many French citizens and other Europeans also shared Wilson's desire to establish a new world of peace. They listened with hope as he made an emotional speech about a world in which everyone would reject hatred -- a world in which everyone would join together to end war, forever. BARBARA KLEIN: More than twenty-five nations that helped win the war sent representatives to the peace conference in Paris. All took part in the negotiations. 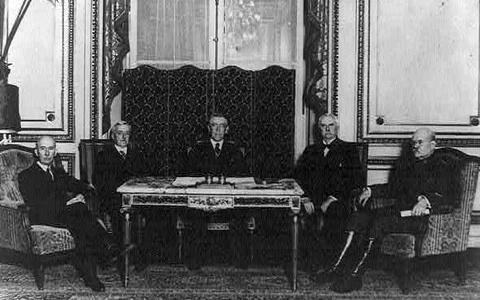 However, the important decisions were made by the so-called "Big Four": Prime Minister David Lloyd-George of Britain, Premier Georges Clemenceau of France, Premier Vittorio Orlando of Italy, and President Woodrow Wilson of the United States. Wilson hoped the other Allied leaders would accept his plan for a new international organization. The organization would be called the League of Nations. Wilson believed the league could prevent future wars by deciding fair settlements of disputes between nations. He believed it would be the world's only hope for a lasting peace. DOUG JOHNSON: Most of the other representatives did not have Wilson's faith in the power of peace. Yet they supported his plan for the League of Nations. However, they considered it less important than completing a peace treaty with Germany. And they did not want to spend much time talking about it. They feared that negotiations on the league might delay the treaty and the rebuilding of Europe. Wilson was firm. He demanded that the peace treaty also establish the league. So, he led a group at the conference that wrote a plan for the operation of the league. He gave the plan to the European leaders to consider. Then he returned to the United States for a brief visit. BARBARA KLEIN: President Wilson soon learned that opposition to the League of Nations existed on both sides of the Atlantic Ocean. Many Americans opposed it strongly. Some Republican senators began criticizing it even before Wilson's ship reached the port of Boston. The senators said the plan failed to recognize America's long-term interests. They said it would take away too many powers from national governments. Thirty-seven senators signed a resolution saying the United States should reject the plan for the League of Nations. That was more than the number of votes needed to defeat a peace treaty to which, Wilson hoped, the league plan would be linked. DOUG JOHNSON: The Senate resolution hurt Wilson politically. It was a sign to the rest of the world that he did not have the full support of his people. But he returned to Paris anyway. He got more bad news when he arrived. Wilson's top adviser at the Paris peace conference was Colonel Edward House. Colonel House had continued negotiations while Wilson was back in the United States. House agreed with Wilson on most issues. Unlike Wilson, however, he believed the Allies' most urgent need was to reach agreement on a peace treaty with Germany. To do this, House was willing to make many more compromises than Wilson on details for the League of Nations. BARBARA KLEIN: Wilson was furious when he learned what House had done. He said: "Colonel House has given away everything I had won before I left Paris. He has compromised until nothing remains. Now I have to start all over again. This time, it will be more difficult." For Woodrow Wilson, the most difficult negotiations still lay ahead. BOB DOUGHTY: Our program was written by Frank Beardsley. The narrators were Barbara Klein and Doug Johnson.